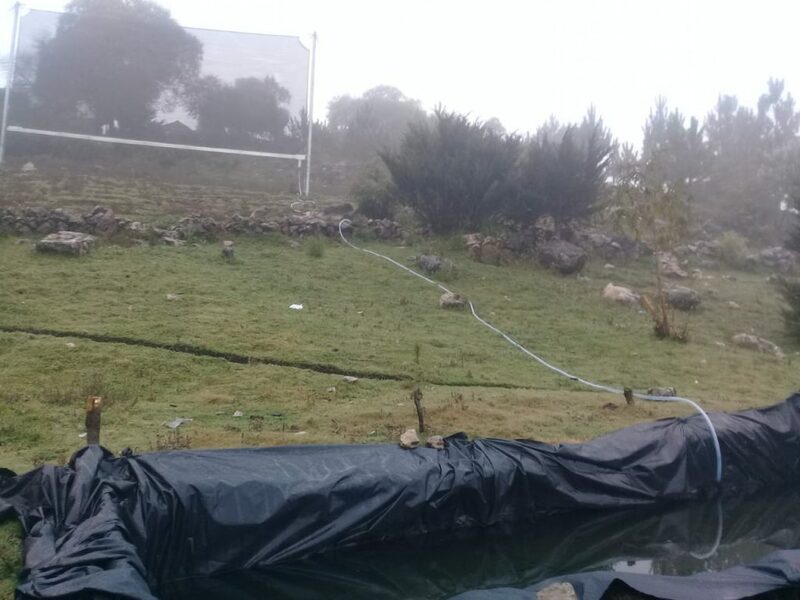 Here’s a gallery of the new and completed fog collectors recently installed as a project expansion in Tojquia, Guatemala. Thanks to Nicolas Zanetta for these images. 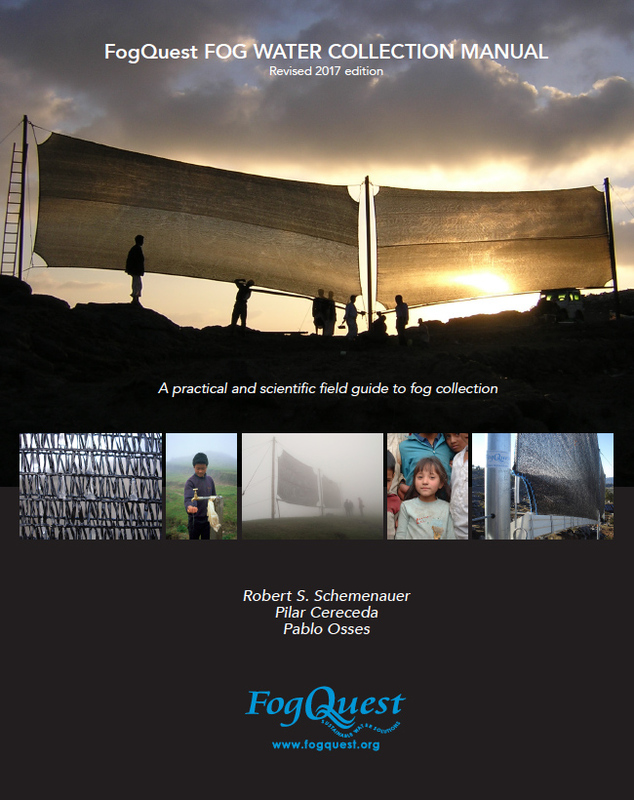 FogQuest receives a constant flow of requests for mesh and for complete fog collectors. 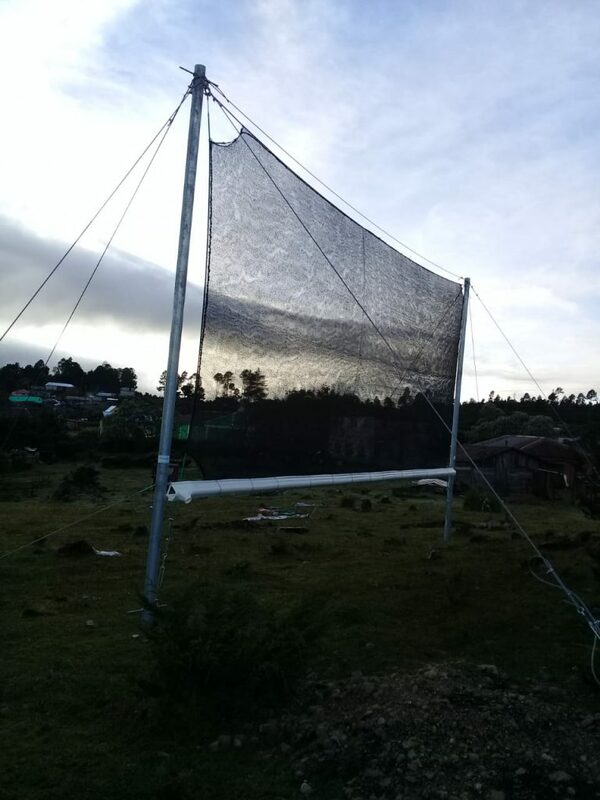 We assist individuals and other groups that are starting evaluations of fog collection at sites by selling small to moderate amounts of mesh. We encourage everyone to build their own small Standard Fog Collectors as this is a good learning process for anyone truly interested in fog collection. There is information in our FogQuest manual on how to do this. 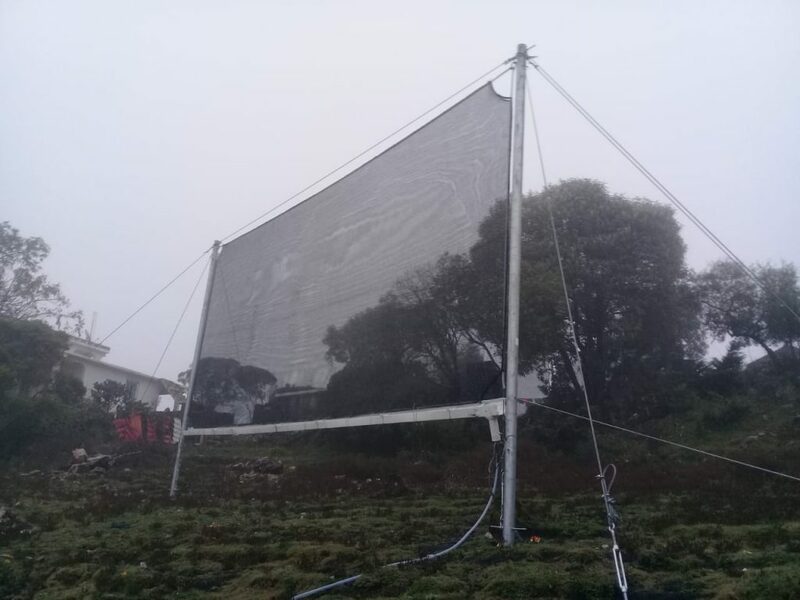 Also, even shipping the small one square meter SFC is expensive and it is impossible to do so with the 40 square meter Large Fog Collectors. 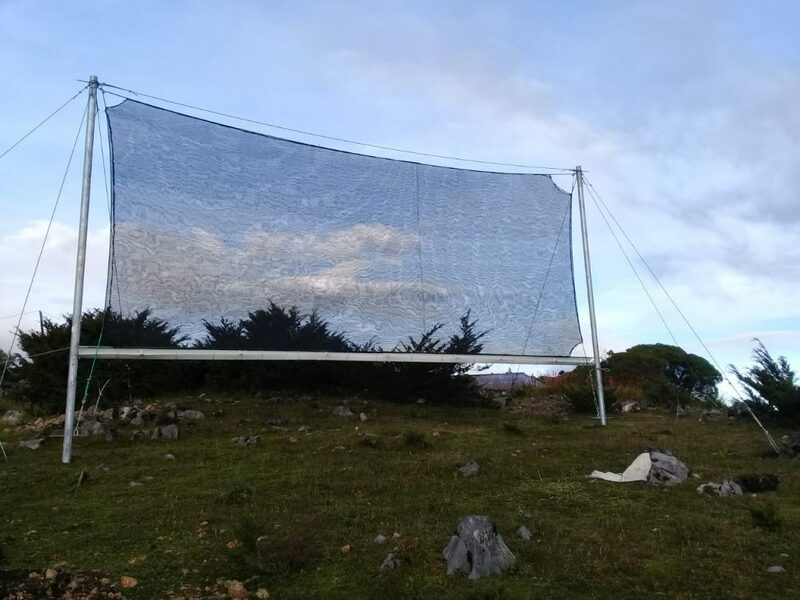 One of our members, Prof. Daniel Fernandez, at California State University, Monterey Bay, has now started a new business to provide a source of the same Marienberg Raschel mesh that FogQuest uses in its fog collectors. His company Bayside Fog Collectors will also sell assembled SFCs. The primary market is people in California. 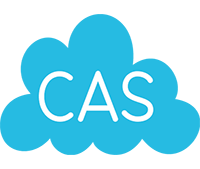 This is an alternative source of mesh and assembled SFCs that some of you may wish to consider. The company website and a contact email address are given here. A new notice has come out regarding the 8th conference in the series that began in Vancouver, Canada in 1998. Information will be added to our conference page as it becomes available. Information from the first announcement is given in the paragraph below. We encourage everyone to consider attending. The conference is the premier international gathering of fog and dew researchers from around the world. The ongoing series provides a dynamic forum for the exchange of ideas and the latest research findings from scientists worldwide interested in the life cycle of fog and dew at the interface between surface, vegetation and the atmosphere, and in the collection of fog and dew for freshwater production. Its interdisciplinary character gives this conference series a unique character at the crossroads between fog and dew physics and chemistry and their interactions with and impacts on vegetation, materials, and human activities. The conference features in-situ and remote sensing observations of fog and dew properties, high-resolution and numerical weather prediction modeling, equipment design for fog and dew collection, studies of water collection and use from fog and dew in arid environments, and examination of ecosystem interactions and impacts. The conference’s one-week format, gathering about 200 people, allows for ample plenary oral sessions and several long poster sessions conducive to in-depth scientific exchange. An exciting social program that provides opportunities to foster new collaborations boosts this scientific networking forum. 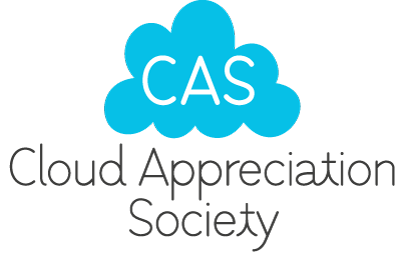 We are very pleased to have ongoing support from The Cloud Appreciation Society in Britain, which will be spread out over the 12 months of 2018. This large and active organization is donating a portion of their membership fees to support the work of FogQuest. It is led by Gavin Pretor-Pinney and can be reached at the link below. We keep in regular contact with the people in the village of Tojquia, in the Western Highlands of Guatemala, where we have worked since 2006. 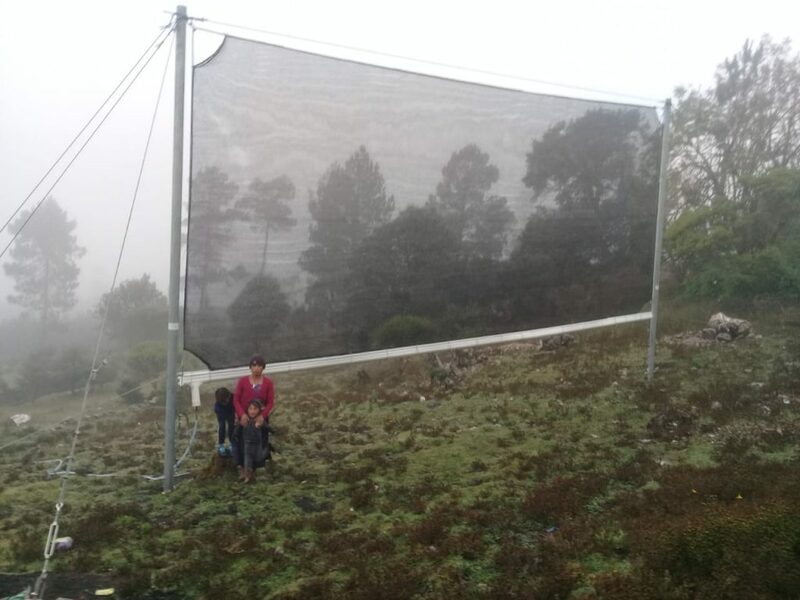 The 35 large fog collectors, each with an area of 40 square meters, have provided a valuable water resource in the dry season for the villagers. 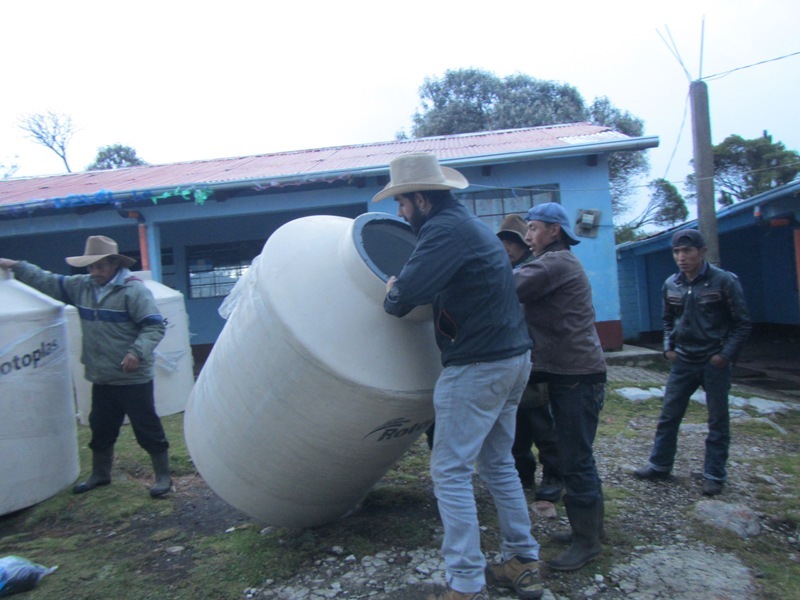 Last year we identified five homes for the next stage of the project and installed new water tanks at the homes. 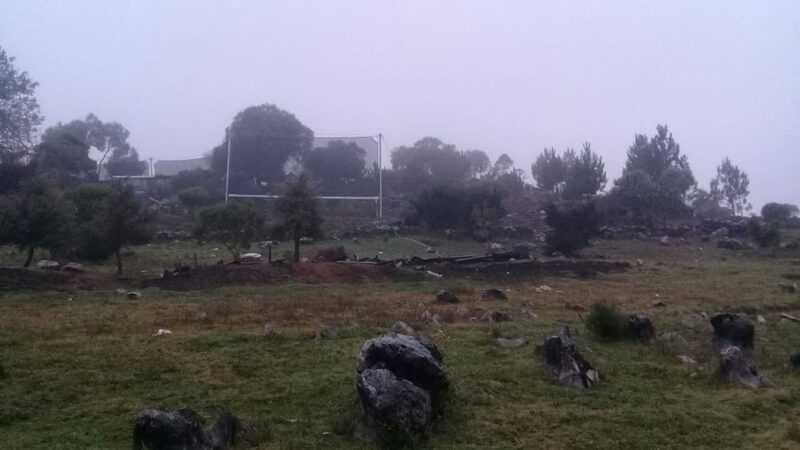 This year we will build five new Large Fog Collectors for these homes. 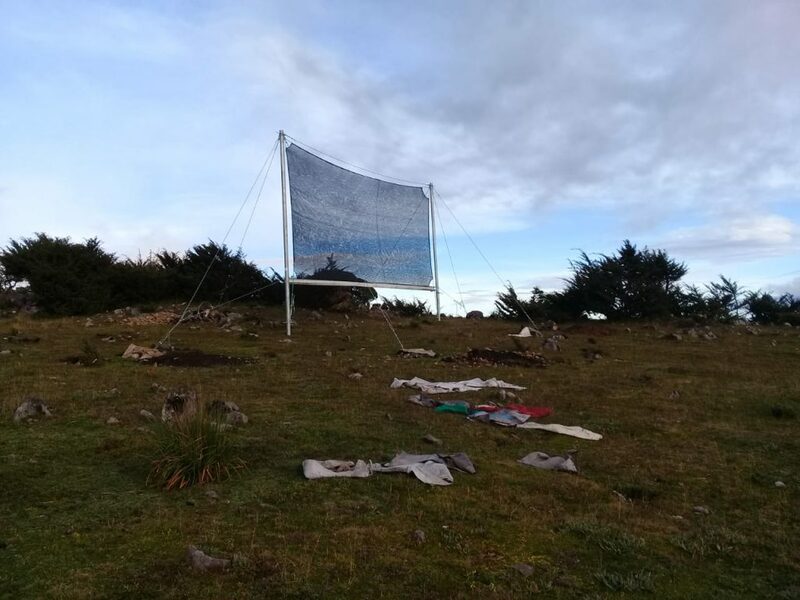 The work will take place in September with the construction guided by Nicolas Zanetta from Chile, with the actual work being done by the people of the village. Two other FogQuest volunteers from Canada will participate and help with a variety of additional tasks. 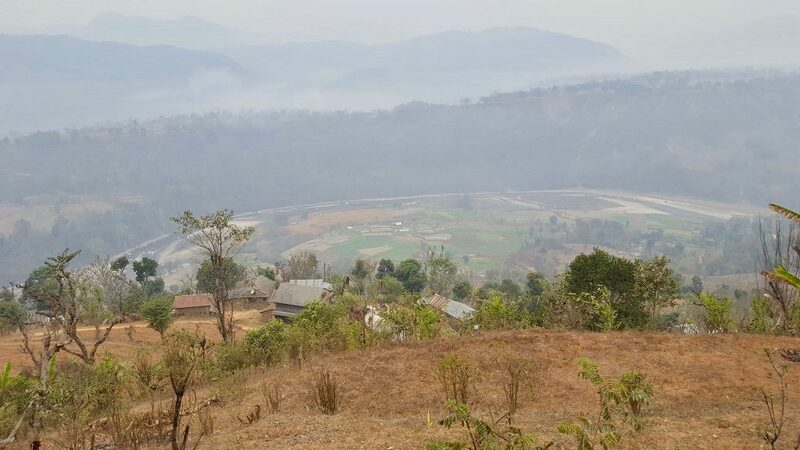 We hope to have a daily blog from the site during the two-week period in the field. If you can help support this project, we would greatly appreciate your donations. 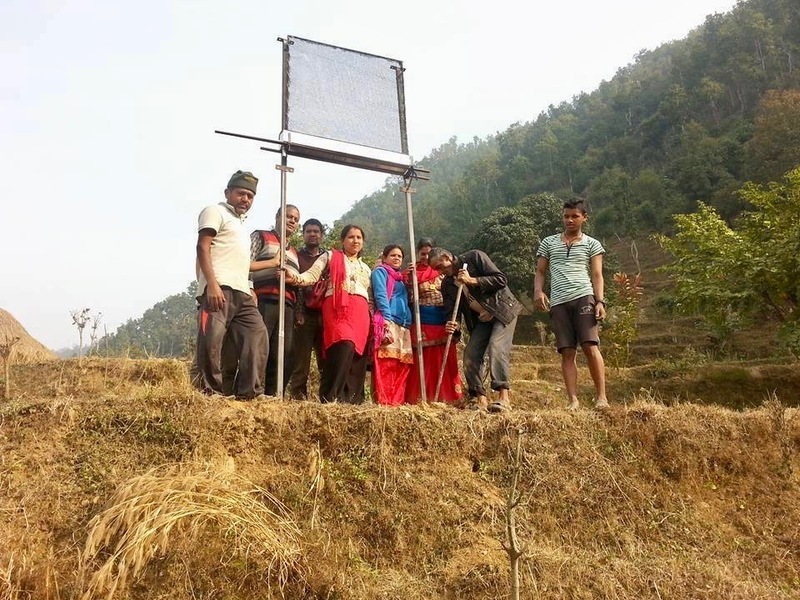 The Nepal Agricultural Cooperative Central Federation Ltd. (NACCFL) is currently working in collaboration with the Chainpur Small Farmers Agricultural Cooperative Ltd. (SFACL) to find new sources of drinking water supplies for residents of the Chainpur Village Municipality in Dhading District. The community has traditionally relied on small springs emerging at the foothill of the upland forested areas but these went dry, however, after the April of 2015 earthquake, probably due to the fault lines that were created and which tunneled the available water supplies directly into the ground. 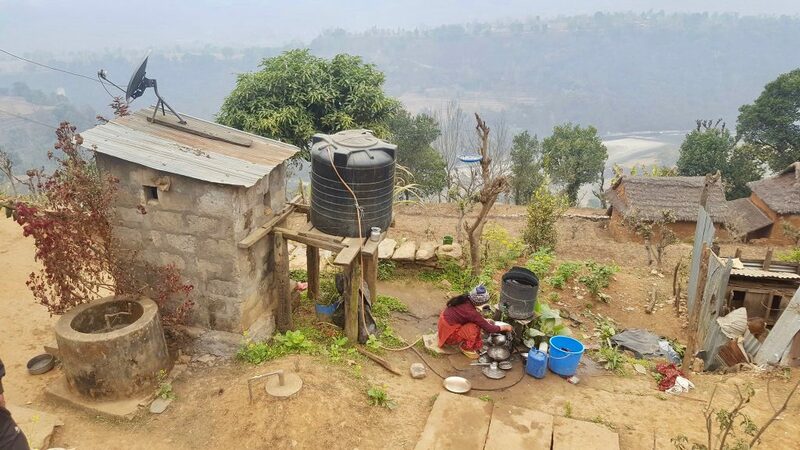 The community had then to resort to bottle water supplies until they built an emergency supply line diverting water from a larger spring situated more than two kilometres away. In May of 2017, the community switched back to provisioning themselves from the local springs as these had recently started flowing back again. The flows have although been very variable and of low quality ever since. 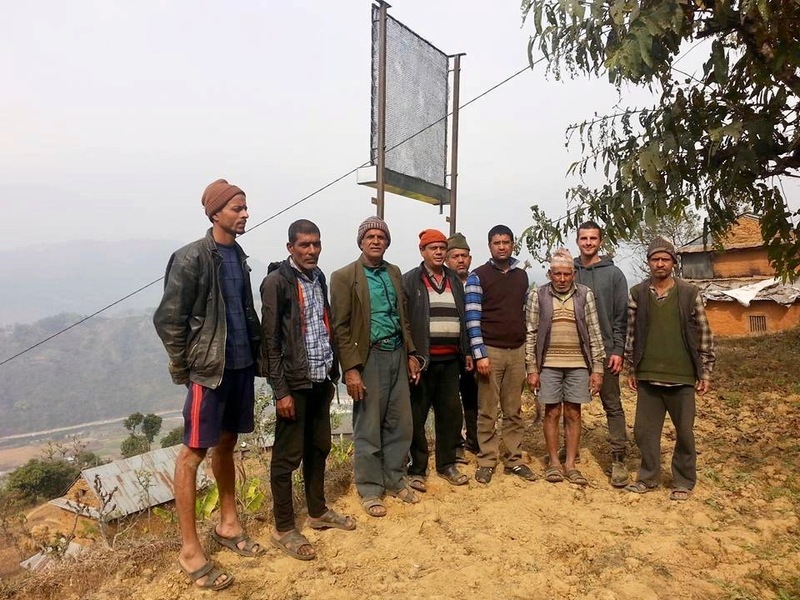 NACCFL and the Chainpur SFACL recently launched a fog water collection study pilot project to assess the possibility of using fog water collection to expand the supplies in this water scarce community. 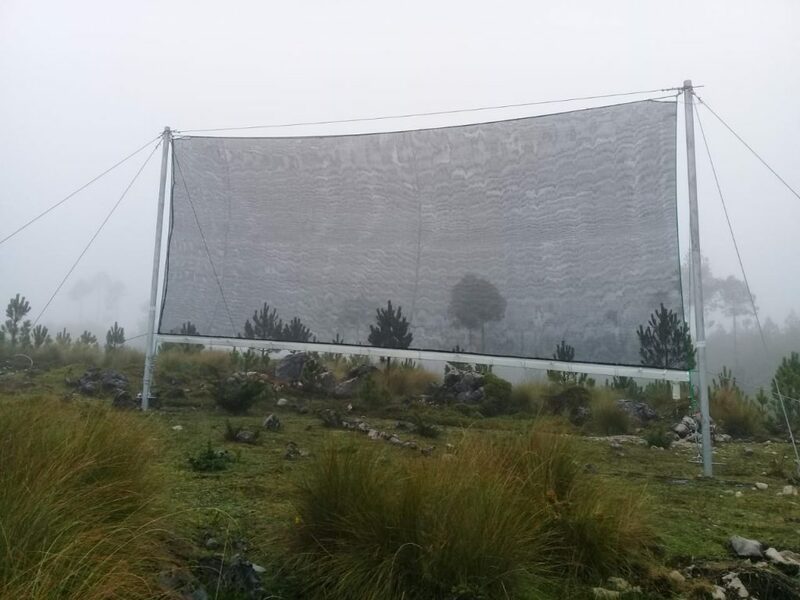 Two Standard Fog Collectors (SFCs) of 1 m2 were installed to measure the fog collection potential in two strategically selected sites over a one-year period. 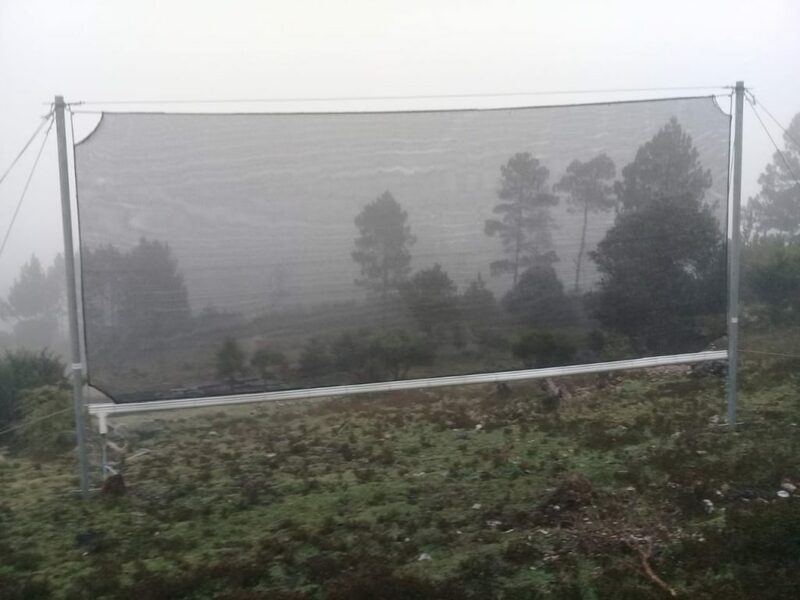 The aim of this future project would be to build three or four Large Fog Collectors (LFCs) for a total surface area of up to 200 m2. 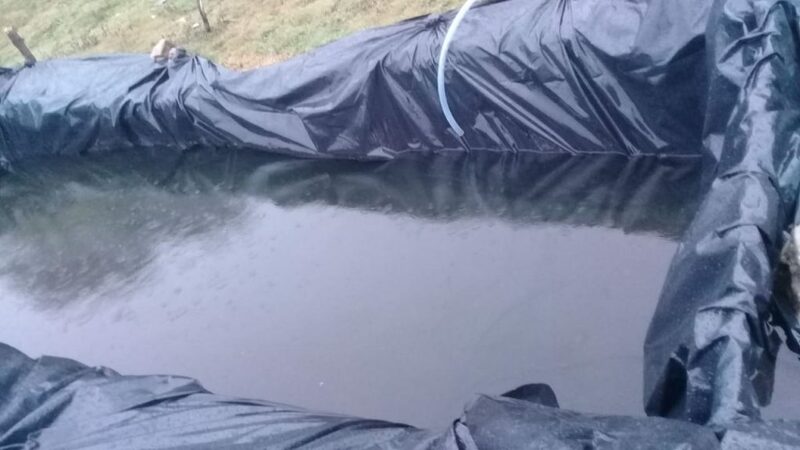 So far, results from the SFCs indicate that collection rates of 5 to 6 litres a day would be easily reached for the four continuous months of the fog season there. 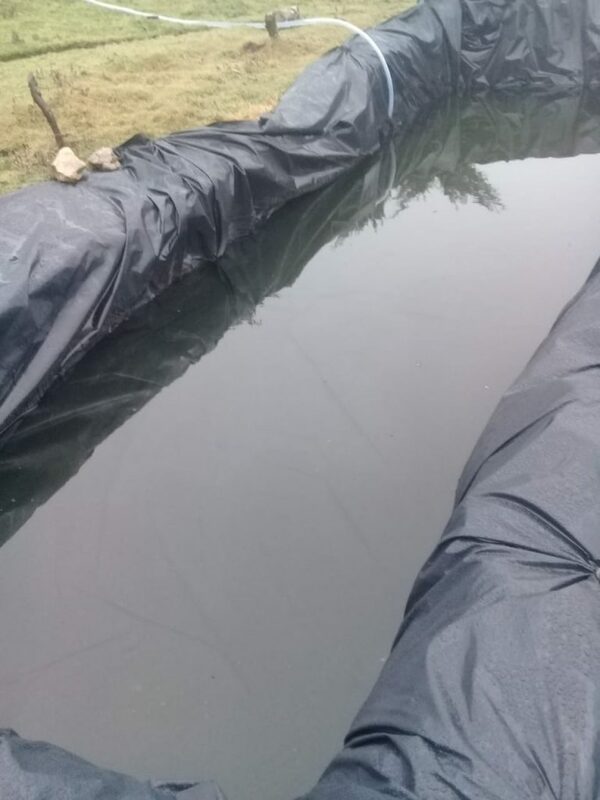 At these rates, we would expect to increase the water supplies for the community by 120,000 to 144,000 litres a year. 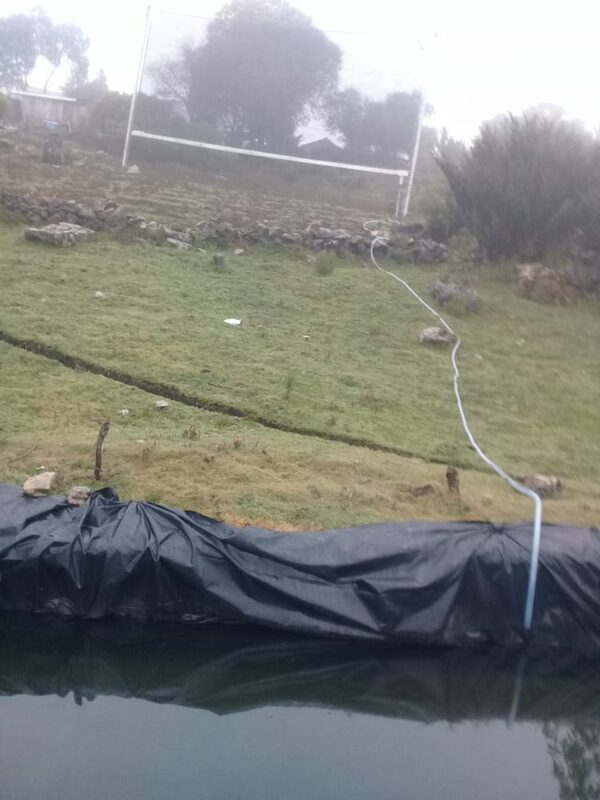 This project would target 50 households, thus improving water security for approximately 200 people. 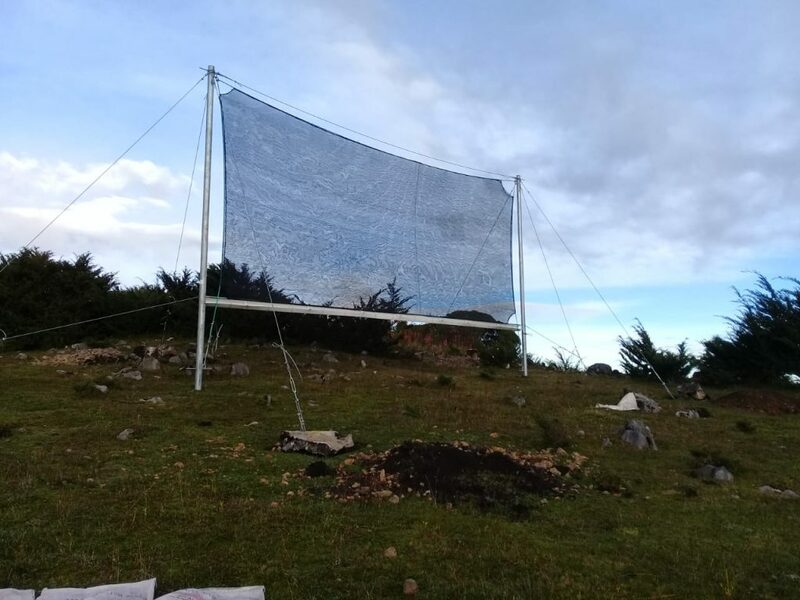 FogQuest provided some initial project guidance, advice related to the construction and installation of the SFCs, as well as the Raschel mesh that was used in the fog collectors. We will also help to evaluate the SFC data that are being collected by Laurent-Charles Tremblay Levesque of CECI. Below are photographs of the two SFC installations, the geographic location, and the shop where the SFCs were constructed. We ask your patience as FogQuest moves to a new content management system platform for our website. This work is being done by volunteers and is almost complete. 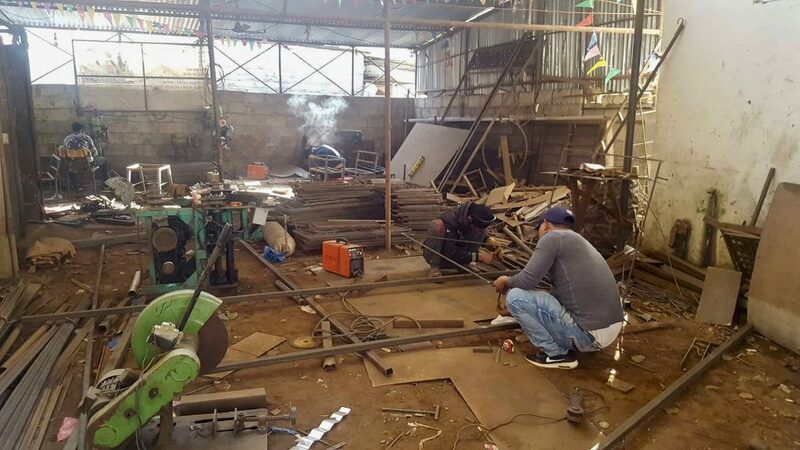 Substantial updates of parts of the site will also be provided once the revision is operational. In the meantime, we hope you find the current features of the site helpful and informative. 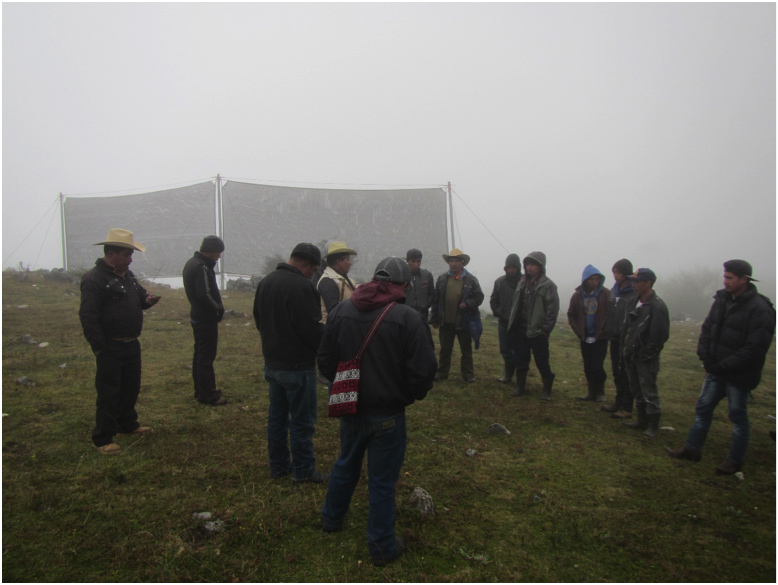 A part of our mandate as a charity is to help people, organizations, institutions and corporations understand the importance of fog water in natural ecosystems and as a managed water resource. One way we do this is through speaking engagements but by far the most widespread and effective tool we have is to respond to requests for information that we receive from people visiting our website. Sometimes these requests can lead to quite unexpected results. Well over a year ago FogQuest was approached by Hangar 1 with questions regarding whether fog might be collected in California and used, in part, to make a new vodka. 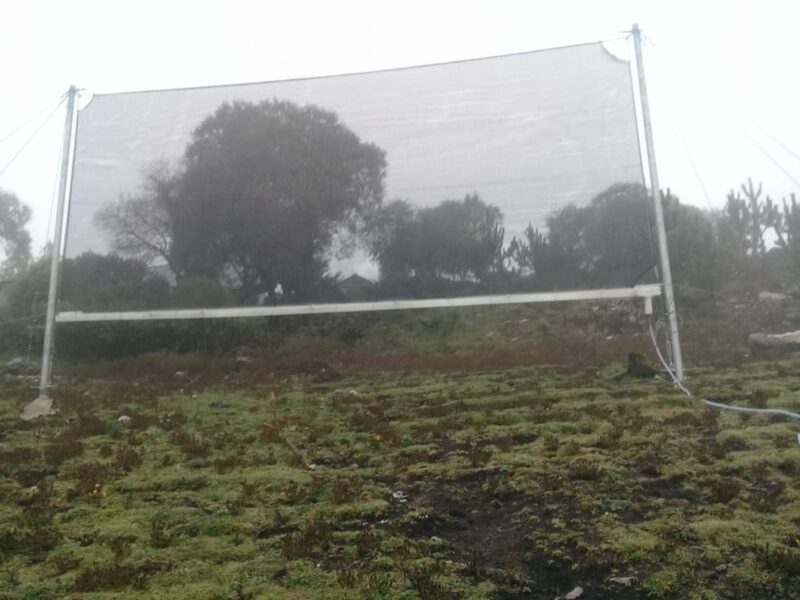 After some discussion, we put them in contact with one of our volunteers in California, Chris Fogliatti, who used small fog collectors in San Francisco to produce water for Hangar 1. 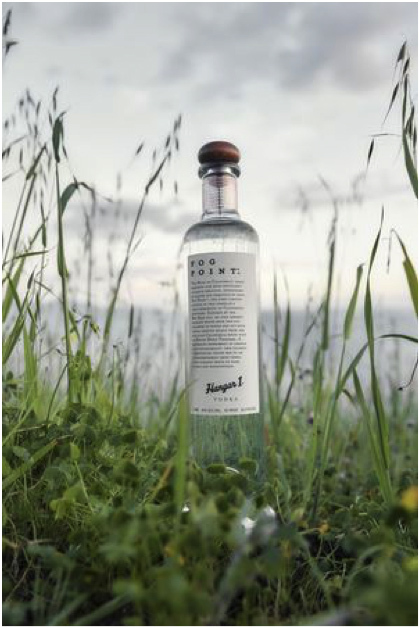 This ultimately resulted in the successful release of Hangar 1 Fog Point vodka in May 2016. It also bought a great deal of attention to the importance of fog as a water resource in California. This spring Hangar 1, through their parent company Proximo Spirits, sent FogQuest a very generous donation in recognition of the information we had provided. We are very grateful for this donation and, in turn, will use these funds for our water projects in developing countries. Proximo Spirits also provided a substantial donation to support the fog research being done by Prof. Daniel Fernandez at the University of California in Monterey Bay.